Perhaps it is illogical to bake the day after Thanksgiving. Perhaps I should be following up a long run in the rain with salad and a nap. But on the other hand, it may be best to let oneself down easy after a big feast. No use going cold turkey (pun intended) on the rich food when the air is cool, and everyone is still lounging around the house enjoying the long weekend. Why not break out the butter that did not make its way in the mashed potatoes make up some delicious treats? When you really think about it, cookies seem to be an appropriate coda to the traditional Thanksgiving feast. 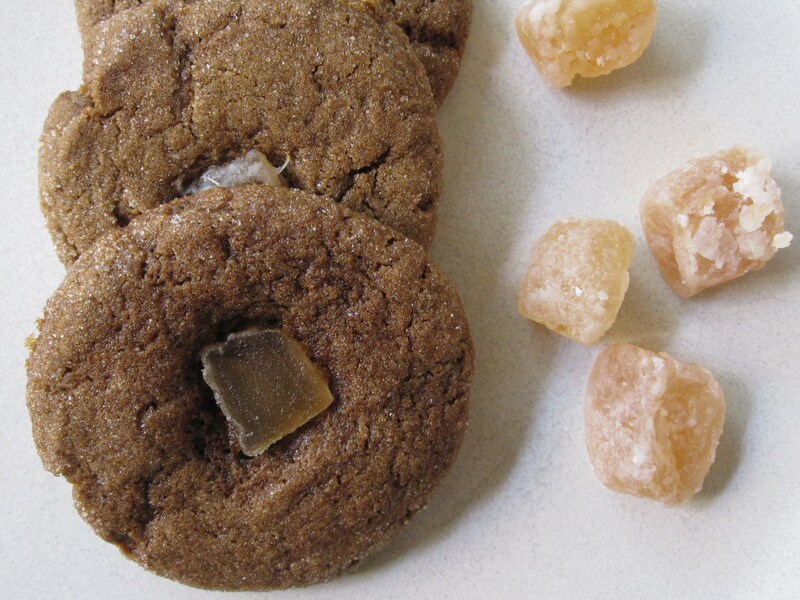 Soft Ginger Cookies are tender, buttery, intensely ginger flavored treats. 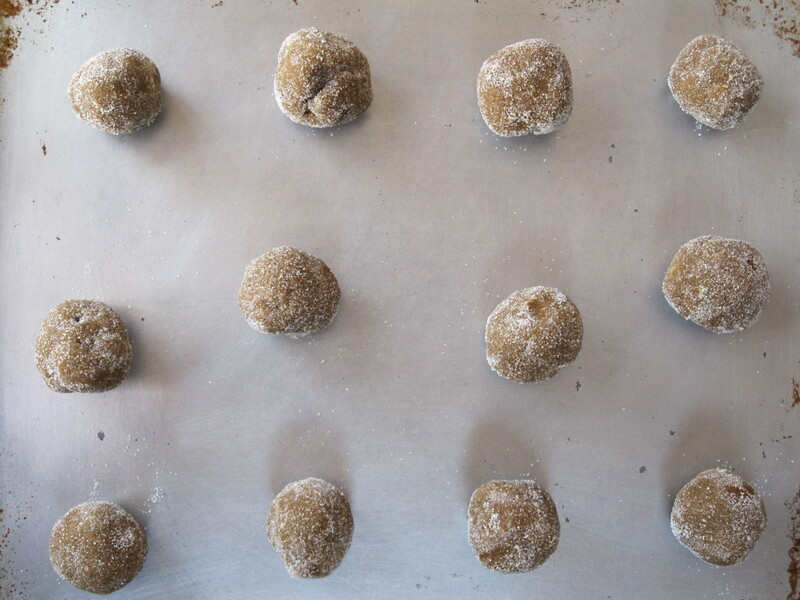 Roll the chilled dough in balls and then spin through a dish of sugar to give each cookie a sparkly look. Slices of candied ginger add a decorative touch, as well a strong gingery spice. This recipe makes a generous number of cookies, which provides a good excuse to drop in on your neighbors and friends. You can also form the cookies and freeze them to bake up later. Have you noticed the beautiful mangoes in the market this month? They are abundant, inexpensive, and delicious! Mangoes have firm flesh and a sweet and tangy flavor. This makes them incredibly versatile. They are hardy enough to cook, soft enough to eat raw, and excellent in salads and of course chutneys. First though, you have to know how to cut into the fruit. 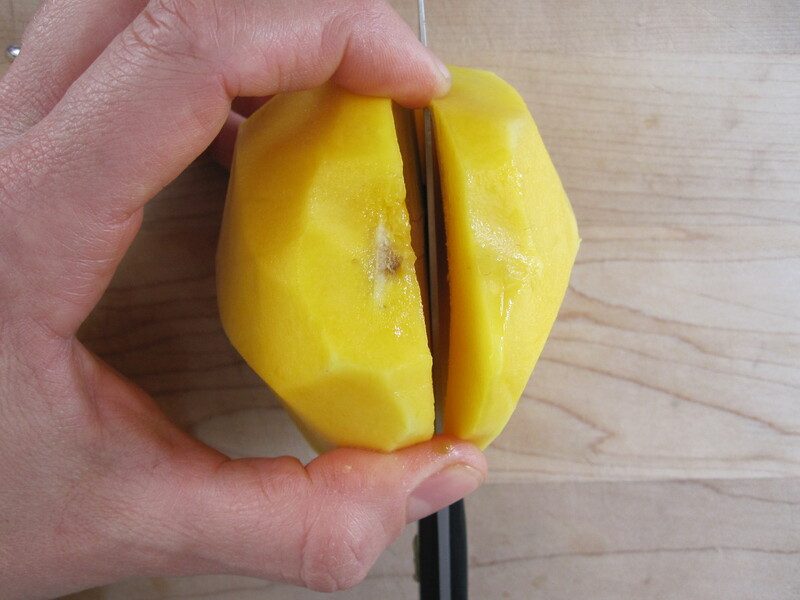 Since mangoes have a disc-shaped seed in the center of fruit, it is important to locate it and cut around the seed. Then, hold the fruit upright and slice down, guiding the knife along the side of the seed. Repeat on the other half, so you end up with two halves and one seed pod with minimal flesh attached. 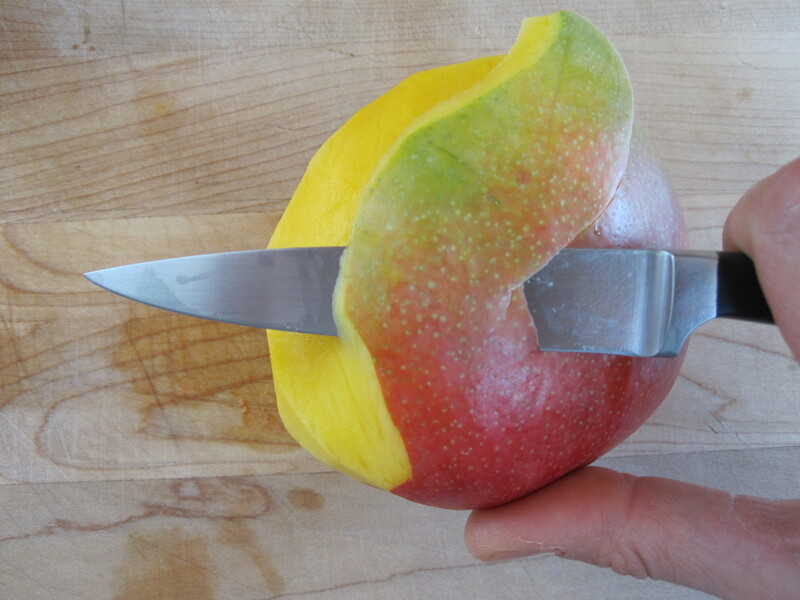 Slice or dice the mango halves depending on what you are using it for. 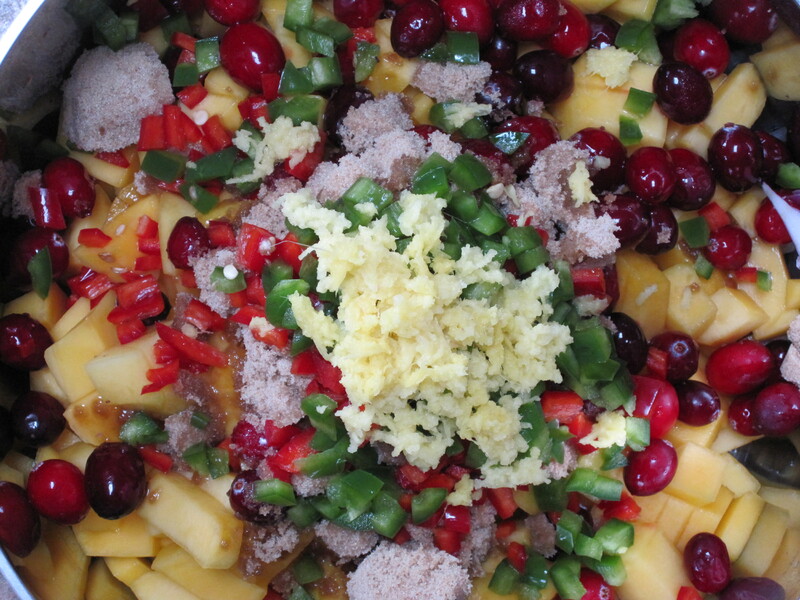 Mango Cranberry Chutney is a medley of sweet mango, tart cranberry, spicy peppers and zippy ginger. I love having a stash of it in the pantry. It is a wonderful accompaniment to a cheese platter. I made this batch especially to serve with Redwood Hill’s cheese at the Sono-Ma Soiree tomorrow night. It is also delicious as a side to any Indian meal. Try it with Divine Indian Butter Chicken. There are recipes I love, because the flavors produced are so unlike those I am apt to make on my own. There are recipes I love, because the technique is new to me and create an utterly delicious dish using a method I have never tried. This recipe fulfills both of those criteria. Though my family loves Indian food, I admit to being hung up on a few standard curries and dals that are regulars in our kitchen. This dish, though it uses familiar ingredients, is unlike any I have made in the past. 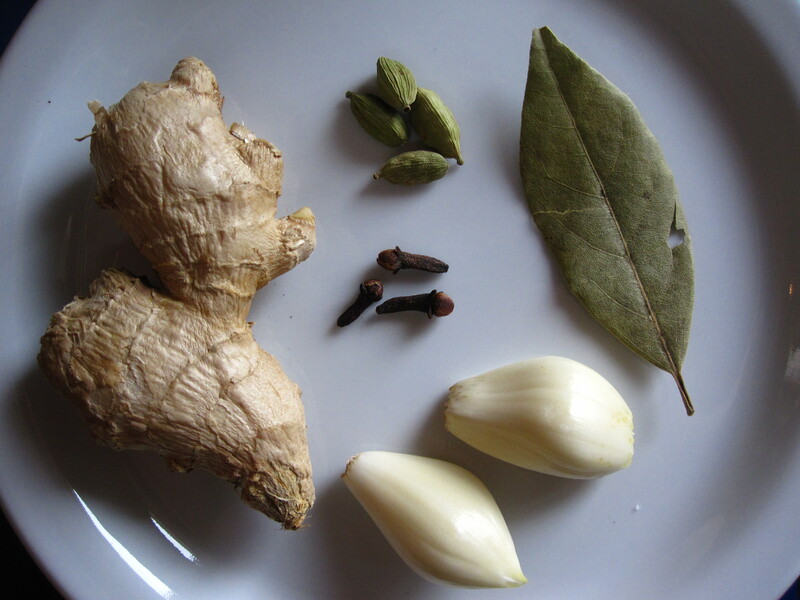 Garam masala and ginger infuse the sauce of Divine Indian Butter Chicken with exciting flavor. The garlic, bay, cardamom, and cloves simmer slowly with the tomatoes deeply infusing the sauce with even more flavor. Top that off with butter and milk (or cream as the original recipe suggests) and you have a silky, spicy, delectable bath for the tenderest of chicken. 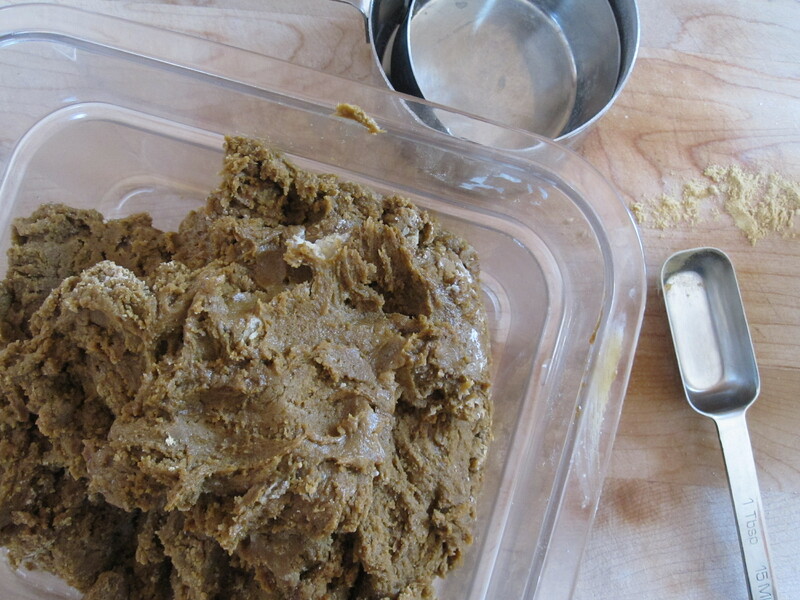 The chicken first spends many hours soaking in a tangy marinade of yogurt, ginger, garlic, and garam masala. Yogurt tenderizes the meat as it soaks. The next step surprised me. The chicken is roasted at 500 degrees for 20 minutes. Never have I thought to use that kind of extreme heat on an ultimately braised chicken dish. The chicken finishes cooking in the fragrant tomato sauce. My first bite dispelled any skepticism I may have harbored regarding the roasting technique. This chicken is so incredibly tender and moist! 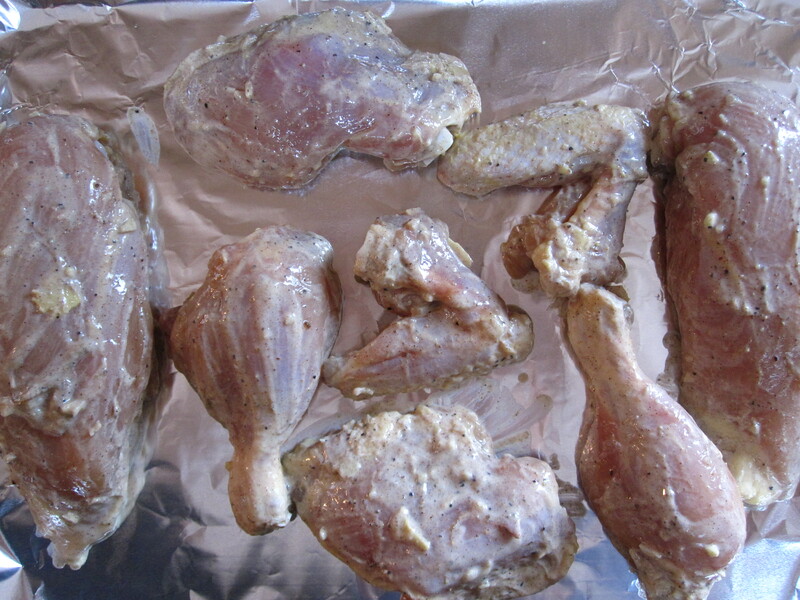 The dark meat falls from the bone and the breast slices up beautifully and melts in your mouth. What is more, this is a perfect dish to make ahead. Simply prepare the dish and keep it warm and covered until ready to serve. You can also cool the dish, refrigerate, and heat up when you are ready. 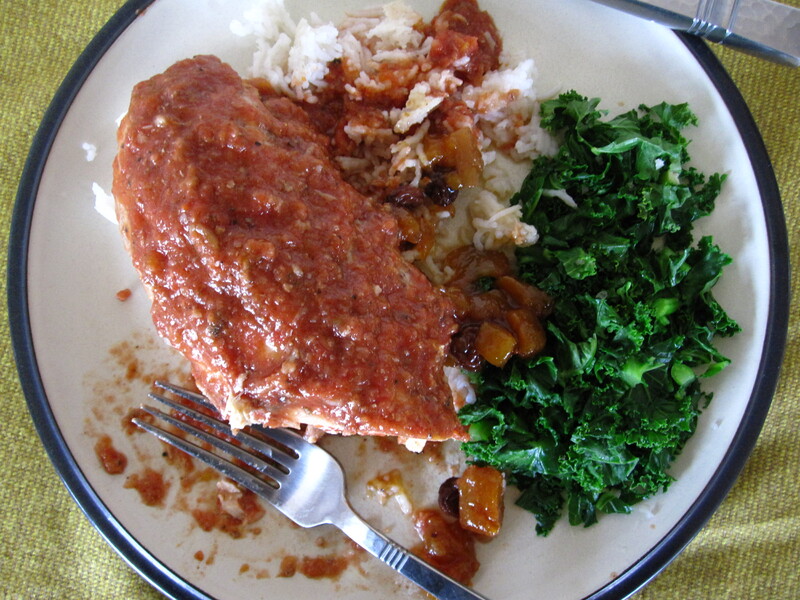 Serve with basmati rice and chutney. 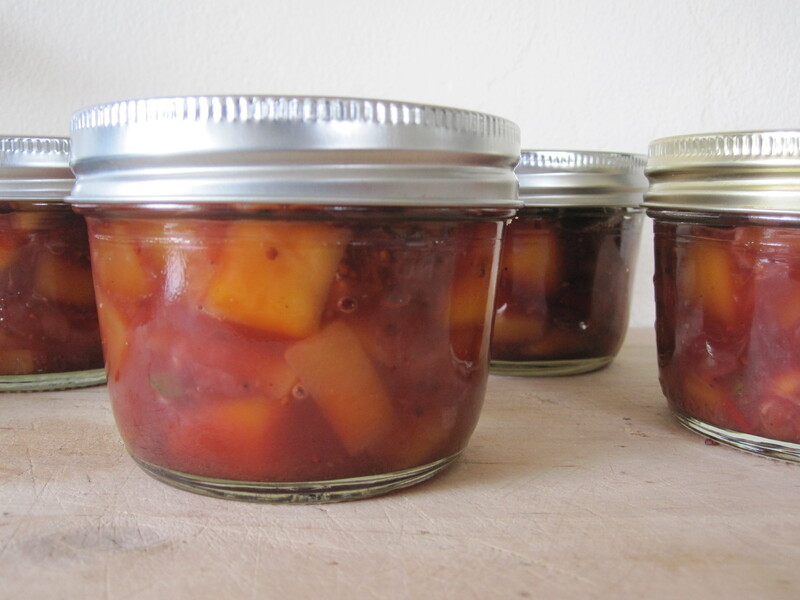 Here is a great recipe for homemade chutney.